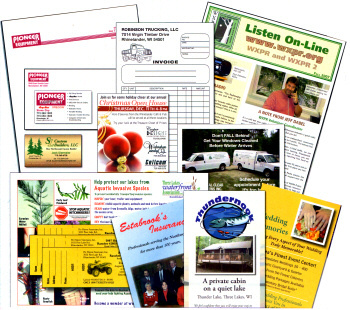 With a wide variety of paper choices, we print just about anything! 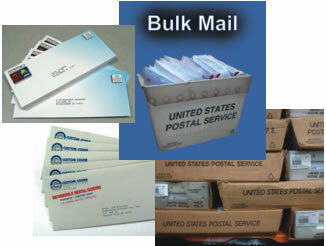 Bond, card, stock, bright colors, carbonless, and envelopes are among the many choices available. And re-ordering is a breeze! We keep all artwork on file. 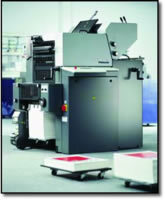 Just call, email or fax the re-order to us and we will call you when it is ready! It's that easy! 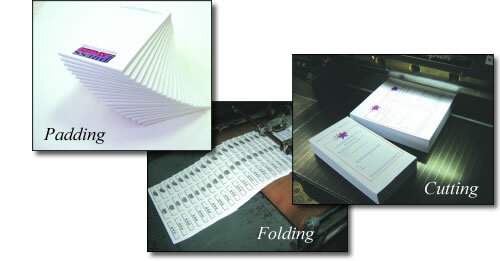 In our bindery department, we can do all the finishing work, you don't have to do it by hand! Tired of doing your mailing the old fashioned way? Not sending them out because you don't have time? Let us help. We can complete the project for you. Let us know what you want to say ... and we'll take care of the rest. Our graphic design department will create your mailing piece, we will print it after you approve it, fold it, stuff it, insert it, tab it, sort it, and deliver it to the post office. We even have a bulk mailing permit for your use. If you have never even done a mailing because you didn't know where to start, call us and we'll sit down with you to figure out the best way for you to get your message out!